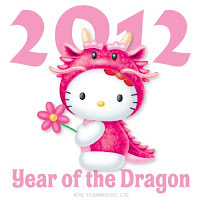 Living in Korea, we are practically neighbors, I've been there twice, and it's the country that spawned Hello Kitty!!! But mostly, because as a human, I must. I've been trying to figure out ways I can help as a person living in Korea and an expat, so I did some research. On a side note: often I have to deal with the unusual hatred in Korean kids over dokdo. It drives me insane. Especially given that they are so young. However, and this is a big however, the majority of Koreans are not like this. Most of them grow up and snap out of it, the older generation still perpetrates this. The others realize it's a horrible attitude, and that love for human kind is greater than past grievances. Or by bank transfer. It's just like sending money home from Korea. GLOBALGIVING: Established a fund to disburse donations to organizations providing relief and emergency services to victims of the earthquake and tsunami. Donate here.